Did you know that fresh milk is one of the most request items at food banks but that access to it is limited? 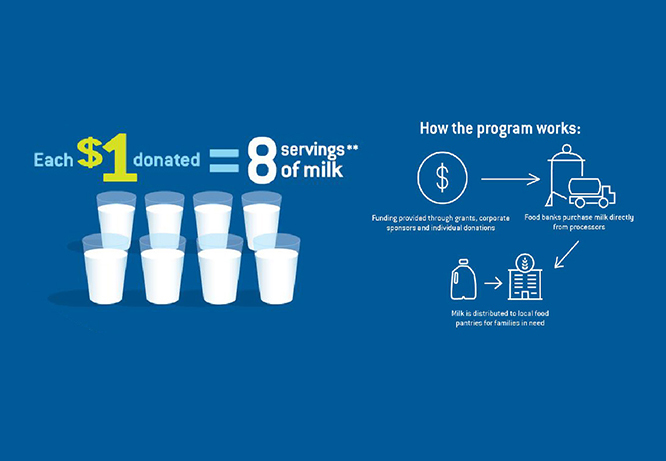 When Pennsylvania dairy farmers learned this, they immediately set to work, forming partnerships that would put milk into food banks and ensure that their neighbors in need were able to receive nutritious fresh milk. The Fill a Glass with Hope® program was born. It’s the most wonderful time of the year….milkshake time! 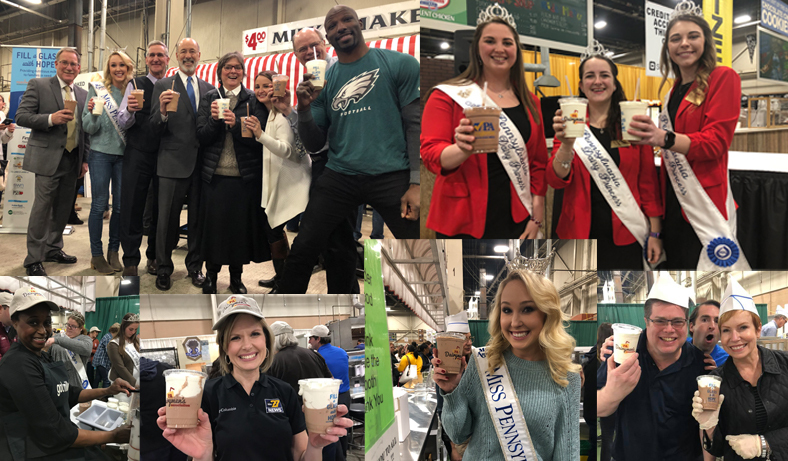 The annual PA Farm Show is here, and along with it, our delicious milkshakes. We’re celebrating 65 years of serving shakes and over $840,000 raised for the Fill a Glass with Hope®️ campaign. That’s more than 7 million servings of milk. With your help, we can do more. 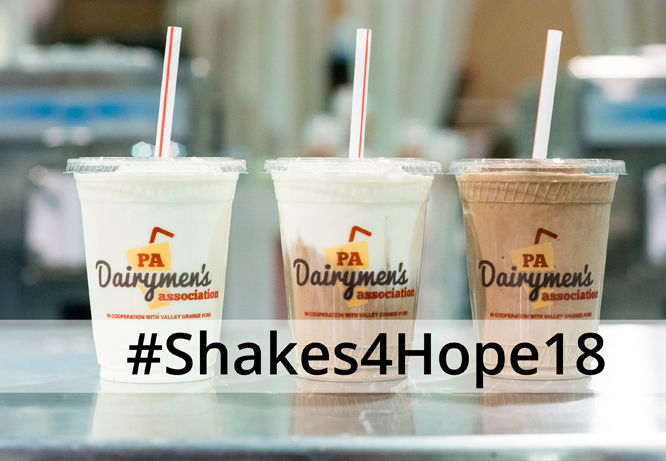 Snap a photo with your milkshake and upload it to Facebook, Twitter or Instagram and tag it with #Shakes4Hope18, and we’ll donate $1 toFill a Glass with Hope®️. We’ll also pick one photo at random each day to win a free t-shirt! Show us your milkshake love and you’ll be helping a neighbor in need! Deck the halls with boughs of holly and rock around the Christmas tree. The holiday season is upon us, you see! Wreaths and stockings fill every store. But, what is one thing you can’t find in the aisles? Our milkshakes and products that will bring your family smiles! So, head over to our e-store and find a gift they’ll adore. Still not convinced? Here are four reasons why. Penn State Football fans, September home games just got a little sweeter! 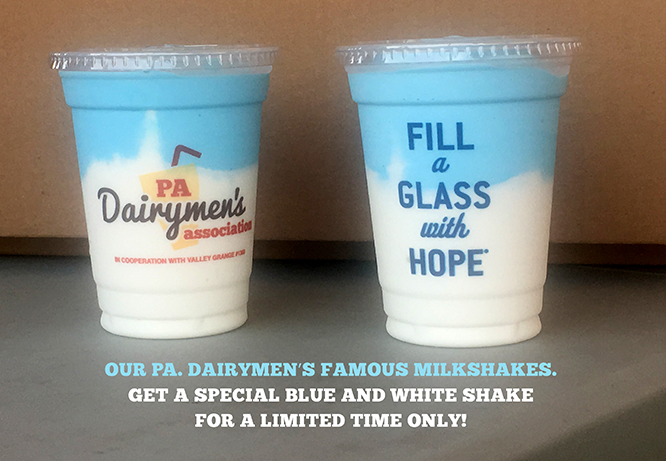 We’ll be serving our famous Dairymen’s milkshakes in Happy Valley before the games on September 2, 9, 16 and 30. Stop by Curtin Road Fan Fest by the Bryce Jordan Center to get an exclusive blue & white milkshake. Each shake sold will donate $1 to the Fill a Glass with Hope campaign which provides fresh milk to local families in need. September is Hunger Action Month and you can help provide 8 servings of fresh milk with every shake you purchase! We’ll see you there. #WeAre going to tackle hunger together!